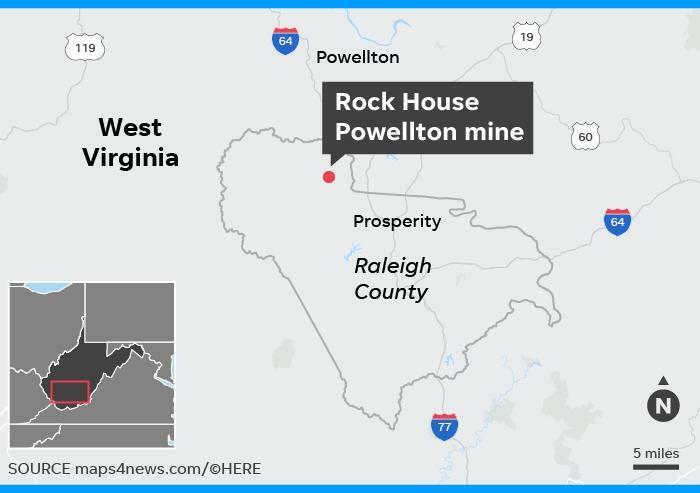 Three people who disappeared in a closed West Virginia mine last weekend have been rescued and taken to a hospital in what Gov. Jim Justice called a "Christmas miracle." Kayla Williams, 25, Erica Treadway, 31, and Cody Beverly, 21, were found late Wednesday inside the Rock House Powellton Mine near Clear Creek, Justice announced. They emerged within hours, and video from the scene showed the group walking toward medical personnel to big applause. A fourth person walked out of the mine Monday and provided some information concerning where the trio might be found, Raleigh County Sheriff's Lt. Mark McCray said. "We think they went in to steal copper wiring," McCray told USA TODAY. "Typically when mines close the wire is left behind, and people will often times try to steal the copper. That is how it's being investigated." McCray said that, regardless of their intent, it is illegal – and dangerous – to enter a closed mine. Coal has not been mined at the underground location for two years, according to the mine safety office. He said there was no timeline on when a determination on possible charges would be made. A lot of resources were spent on the rescue operation, McCray added, although he declined to estimate the cost. An ATV believed to be used by the group was found near the mine entrance after they disappeared before dawn Saturday. Rescue teams had been unable to enter the main entrance due to high water levels, and authorities pumped water out of the mine for days while fans circulated fresh air into it. The complex rescue operation involved multiple four-man teams entering the mine, aided by additional teams who guided the effort from the surface. The rescue teams progressed 4,000 ft. into the mine, located about 100 miles southeast of Huntington in the western part of the state. Justice had traveled to the mine earlier in the week, encouraging rescuers and consoling family members. "It's a Christmas blessing, that's all there is to it," Justice said. He lauded rescuers, saying they told him "We're gonna get them, we're gonna find them. And they did." Eugene White, director of West Virginia Office of Miners' Health, Safety, and Training, said rescuers risked their lives to bring the trio out of the mine. "I'd love to be up there right now hugging them," White said. McCray said the trio was taken to a hospital for evaluation but appeared to be in good condition. Williams' cousin, Lou Ellen Williams, told the local Register-Herald newspaper the family was "happy and relieved."